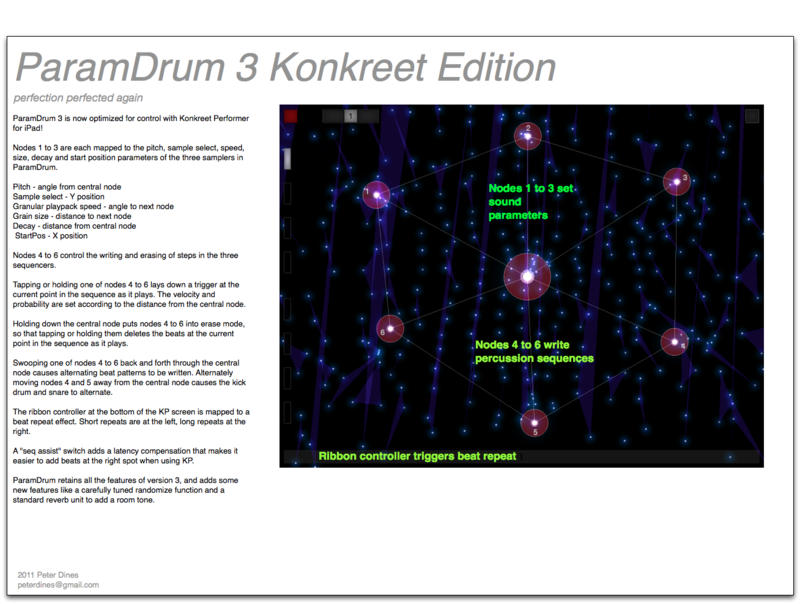 Please note: though this version of ParamDrum has Konkreet Performer mappings, Konkreet Performer is not mandatory. 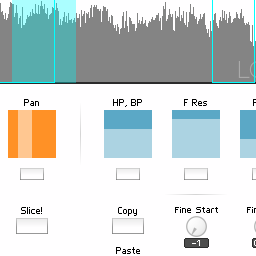 ParamDrum works just fine with a mouse or any MIDI controller. Hey kids! It’s time for yet another update of ParamDrum. This time the big deal is Konkreet Performer mappings. Performer is an iPad app that gives you tactile control over anything that can receive OSC, such as Reaktor. 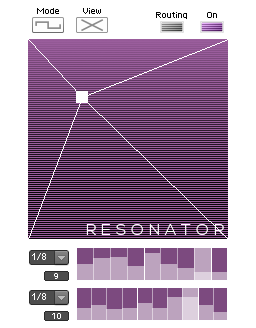 Free utiities also let you translate it to MIDI for software and hardware that can’t receive OSC. 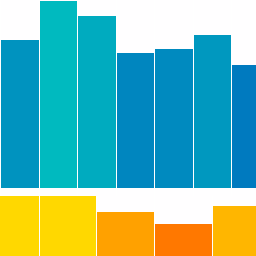 How good is Konkreet Performer? It’s the reason I went out and bought an iPad in the first place. For those of you who don’t have KP (go get it you fools), the new version still includes a new sample set, a whole lot of new snaps, and new features including optimized randomization. A funny thing about the beats this thing throws down in conjunction with Konkreet – it’s so easy to make crazy fun beats that you’ll be making and saving one after another at a furious clip. That’s why this edition of ParamDrum has so many more snaps compared to earlier versions. And among the most warped of them, you will find that they only make sense early in the morning when your ears and mind are fresh. When your ears, body and mind are exhausted, late at night, you will lose the ability to follow the sickest beats. So never delete snaps late at night. True story. Update: Due to changes in default settings for the latest versions of Konkreet Performer, not all parameters are automatically mapped. Quickest way to fix that is to install this bank in Konkreet Performer via iTunes. Instructions on working with Konkreet banks can be found here. 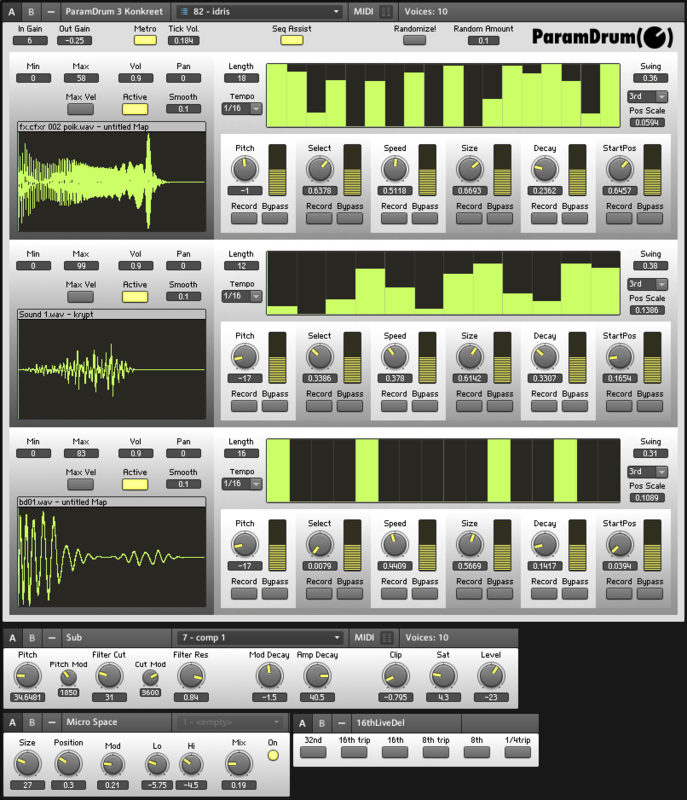 This entry was posted in Ensemble, ensembles, Granular, paramdrum, Sampler Pack and tagged beat repeat, drum machine, drum sequencer, instrument, Konkreet Performer, Peter Dines, reaktor on July 14, 2011 by peterdines.